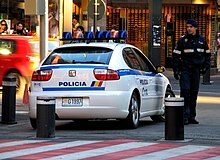 Andorra la Vella is the capital of the Principality of Andorra. 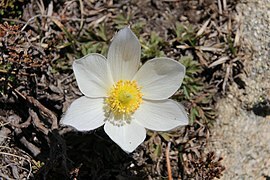 It is located high in the east Pyrenees, between France and Spain. It is also the name of the parish that surrounds the capital. 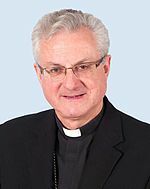 Joan-Enric Vives i Sicília, GCC is the current Bishop of Urgell, a Catholic diocese, and ex officio Co-Prince of Andorra. He holds the rank of archbishop and monarch. 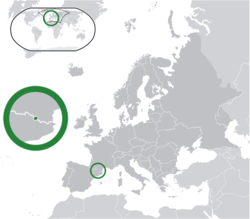 The Co-Princes of Andorra or the Co-Monarchs of Andorra are jointly the head of state of the Principality of Andorra, a landlocked microstate lying in the Pyrenees between France and Spain. 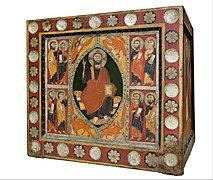 Founded in 1278 by means of a treaty between the Bishop of Urgell and the French Count of Foix, this unique diarchical arrangement has persisted through medieval times to the 21st century. 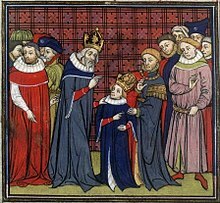 Currently, the Bishop of Urgell and the President of France serve as Andorra's princes, following the transfer of the Count of Foix's claims to the Crown of France and, thence, to the President of France. 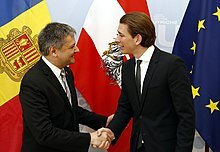 Each prince appoints a personal representative, the French prince currently being represented by Patrick Strzoda and the Episcopal prince by Josep Maria Mauri. 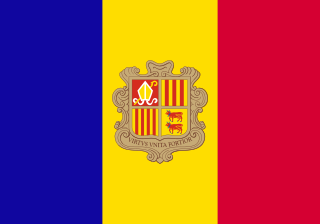 Ràdio i Televisió d'Andorra, S.A. (RTVA), is the public service television and radio broadcaster in the Principality of Andorra. 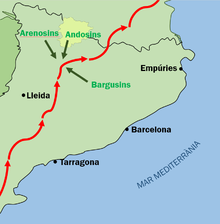 It operates a television channel, ATV, and a radio station, RNA; both of which broadcast in Catalan. 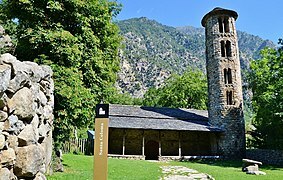 The Catholic Church in Andorra is part of the worldwide Catholic Church, under the spiritual leadership of the Pope in Rome. 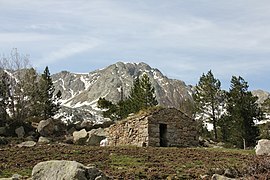 Juberri or Juverri is a village in Andorra, located in the south of the country near the Spanish border, above the main CG-1 road between Andorra la Vella and la Seu d'Urgell in Catalonia, Spain. 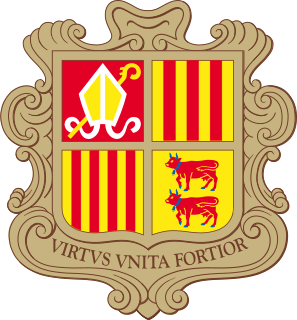 It is part of the parish of Sant Julià de Lòria. 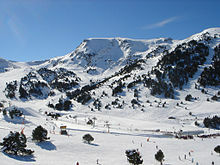 Andorra–La Seu d'Urgell Airport is a public airport owned by the Government of Catalonia and hosts general aviation and commercial flights. 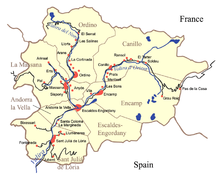 It is located in the municipality of Montferrer i Castellbò in Catalonia, eastern Spain, and serves the city of la Seu d'Urgell and the microstate Principality of Andorra, which is 12 km north of the airport. 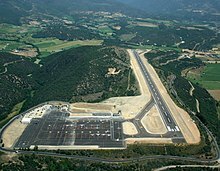 The airport has a short runway which limits aircraft sizes and the distance to destinations. Maria Rosa Ferrer i Obiols GOIH LH, was an Andorran lawyer and politician. She was the Cònsol Major of the Comú d'Andorra la Vella from 2007 until 2015 and the Minister of Health, Welfare and Employment of the Principality of Andorra until 4 January 2016.